On August 23rd 1990 the Armenian Soviet Socialist Republic (SSR) Supreme Council adopted Armenia’s Declaration of Independence, whereby the country’s independence process was launched. By the Declaration, Armenian SSR was renamed the Republic of Armenia. 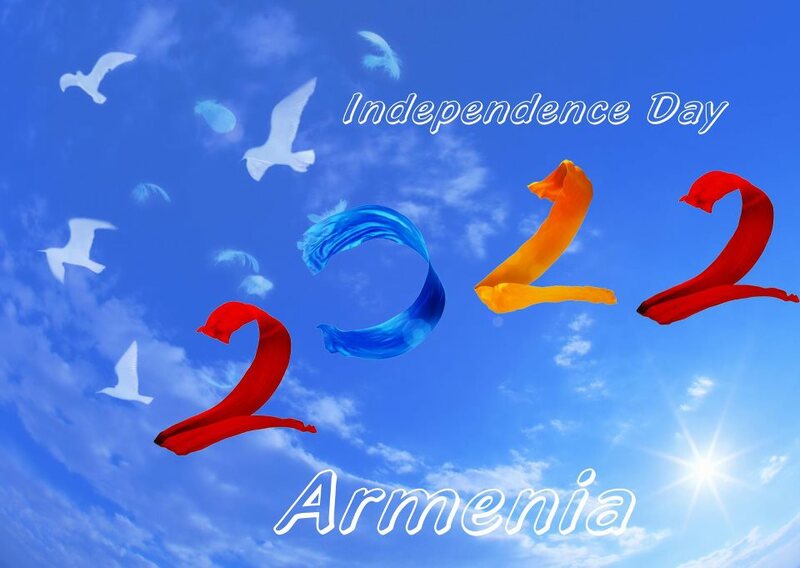 The very next day, that is, on August 24, the law on the country’s flag was adopted, whereby the tricolor was recognized as Armenia’s national flag. A year later, on September 21, 1991, Armenia held its referendum on independence, and, as a result, 95 percent of the participants voted in favor of Armenia’s independence. For the first time in many centuries, after being under the oppression of various invaders, Armenia gained independence in 1918: the Armenian Nation established its Republic. It was then that the cohesion of Armenians allowed stopping the advance of the Ottoman Empire. After the dissolution of the Soviet Union we regained our independence. We are quite a young nation, having been ready to defend national sovereignty and provide security for our citizens. For many nations of the world statehood is just a dream. We are proud that we have it now. And it is quite natural because it signifies an exceptional event which we had waited for a long time, which we had dreamed about for centuries and for which the best sons and daughters of our nation had sacrificed their lives. We lived and struggled as independent Armenia since 1991; this is the new mentality and the new political thinking for more than 20 years. For me personally, September 21st is a significant day because on that very day we changed our self-assessment. On that day, we told all neighbors, friends close and distant, as well as foes, that we will exist eternally; that we had interests and goals; that we would defend fiercely ourselves, our interests and would pursue our national goals. On the other hand, our Republic had adopted the most advanced ideas, democratic rule, and had set the standard of human rights at the highest level. We adopted on the state level the universal human and national values, with the conviction that they complement each other. Today, we are far from idealizing our Nation, but the most significant processes have already happened: psychologically and politically we are an independent Nation, taking care of our internal issues, as well as contributing our piece of efforts in combating contemporary challenges that the international community currently faces. On this very significant occasion I would like to congratulate all Armenians throughout the World and wish us all peaceful work and the image befitting a proud citizen of the state, no matter where they live. Taking this opportunity, I would also like to thank the people of all our friends and allies in the Coalition and outside of it, who have always supported our cause and helped in our efforts to rebuild our Country and to become a more prosperous Armenia. Certainly, our people’s ties have more profound historical roots, and especially the Armenian communities in your respective Countries have a great and visible role in this. We remain deeply interested in the future development of relations with all your Nations, hoping that nobody will ever challenge your national security and independence, preventing you from peaceful prosperity. May God bless you all and keep in peace your States and people. This article original appeared in Coalition Magazine.